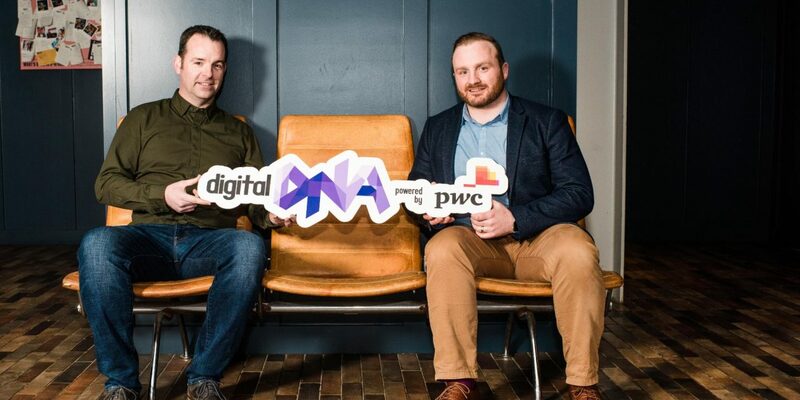 More than 3,000 delegates from the global tech community are expected to attend Digital DNA 2019, powered by PwC, in Belfast this June, the event’s organisers have said. Speaking at the launch of the sector’s most influential networking and knowledge exchange event on the island of Ireland, they promised a packed schedule of over 170 speakers spread across five stages, over 100 exhibitors and a record attendance. Simon Bailie, Chief Executive of Digital DNA, said: “This year’s Digital DNA promises to be one of the most exciting yet. Once again we are developing a unique line up of speakers made up of some of the giants in the local and global tech community. Seamus Cushley, Director of New Ventures from PwC, said: “PwC is proud to power Digital DNA 2019 for the second year running. Without question whatever industry you’re in, your organisation must change for a digital world. In our 21st Global CEO Survey, 81% of respondents agree technological progress will fundamentally change their organisation. And the pressure to move faster is unrelenting. “Our business is at the forefront of this change. Digital DNA is a great opportunity to share our story with the industry and to showcase the work we’re doing to deliver the technological solutions organisations need to compete and grow. Other firsts for this year’s event include the participation of the Institute of Civil Engineers (ICE) which will be showcasing the technical developments in the civil engineering sector. In addition, Digitial DNA 2019 will host the BCS (The Chartered Institute for IT) IT Professionals Awards for the first time.